Sunga Park works in South Korea as a mural wallpaper designer. The architectural watercolors selection features buildings from cities around the world, including London, Paris, Busan, Venice, and Oxford. The buildings are painted in a fade out manner that gives them a floating essence and leaves imagination to fill in the rest. 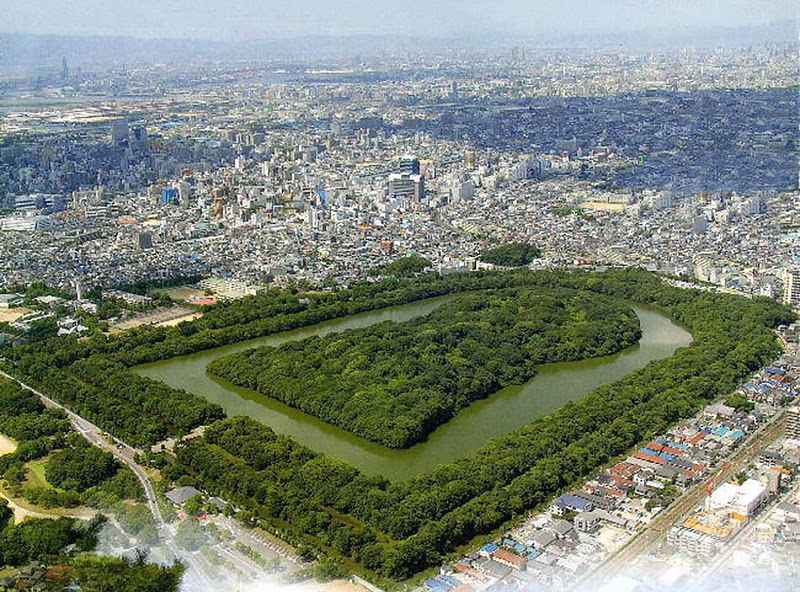 Kofun are megalithic tombs for rulers in Japan, constructed between the early 3rd century and early 7th century. The most common type of kofun has a shape of a keyhole, having one square end and one circular end, when looked down upon from above. The funeral chamber was located beneath the round part and consisted of a group of megaliths.